Bluebird, Serve & REDcard. Comparison of the 3 Cards. The other day Frequent Miler broke the news about a new prepaid sibling to Bluebird & Serve called the Target Prepaid REDcard. The REDcard which currently is only available in select Target stores across the country is very much like the Serve & Bluebird cards. Since all three cards share the same backend system, each person can only have one of the three. Given that there are many similarities between the three, I thought I would put together a chart comparing them to make the decision on which to choose a little simpler. ATM Fee $0 at MoneyPass ATMs and $2 at other ATMs. ($2.50 after 10/30/14). $0 at MoneyPass ATMs and $2 at other ATMs. ($2.50 after 10/30/14). $0 at US Target stores & Allpoint ATMs. Not possible elsewhere. No-Fee Load Types Direct deposit, checking/savings account, debit card, cash at Walmart, check deposits by mail & app. Direct deposit, checking/savings account, debit card, credit card, cash at CVS, Family Dollar, Walmart & 7-11, check deposits by app. Direct deposit, check/savings account, debit card online, cash only at U.S. Target stores. Other reloads (Fees may apply.) Vanilla Reloads MoneyPak, Vanilla Reload, Reloadit. None available. Total Direct Deposit Loads $100,000 per year. $100,000 per year. $100,000 per year. Checking Or Savings Account Load Limits $2,000 per month. $2,000 per month. $2,000 per month. Check Load Limits $2,000 per day and $10,000 per month. $2,000 per day and $10,000 per month. $2,000 per day and $10,000 per month. Debit Card Load Limits $200 per day and $1,000 per month. $200 per day and $1,000 per month. ($500 per day, $1500 per month w/ Softcard version.) $200 per day and $1,000 per month. ATM Withdrawal Limit $750 per day. $2,000 per month. $750 per day. $2,000 per month. $750 per day. $2,000 per month. Merchant Transaction Limit $15,000 per month. $15,000 per month. $15,000 per month. Unique Features Paper checks. Walmart Bucks when used with Savings Catcher. Increased limits with Softcard version. Credit card loads. 5% off all purchases at Target. Extended return period. Free shipping at Target.com. As you can see most of the limits and load types are the same for all three cards. 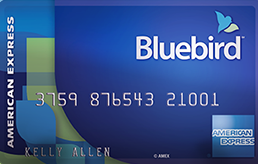 Bluebird has the advantage of earning double Walmart Bucks with Savings Catcher, the REDcard gets 5% back at Target along with extended return periods & free shipping and Serve has credit card loads which can be very lucrative. While the decision as to which is best is definitely a personal one, hopefully with all of the information presented in one place, you can begin to figure out which of these products works best for you. Please let me know if you have any questions or if you find any incorrected or omitted information on the chart! Previous articleWalmart Savings Catcher in the Real World – How to Use, Does it Work & the App! Next articleNot Targeted For Discover’s Extra 5% “Choose A Store Promo”? Do This To Get The Offer! Very helpful information. Thanks for putting this all together. I’m still not sure which one I like most though. I like the idea of the 5% off with the Target card. I have some Bluebirds and was thinking of switching. So which one is your favorite? The 5% at Target is probably worth it for people who shop a lot there. The REDcard also comes with a 60 day return window and free shipping if that is important to you. Since you only get the 5% discount for the portion of a purchase paid with the REDcard, then you are missing out on points/miles earned on a credit card. I see that 5% benefit as being worth 3% at the most. For me Serve w/Softcarf is still the best because of credit card loads, but those who shop at Walmart may want Bluebird because of the 2x with Savings Catcher and those who shop at Target may benefit with the REDcard discount. Makes sense. I was leaning toward Serve, just have to find the time to actually do it. Maybe my mom will get the Target one. I am wondering how it might help me for buying Disney GCs (have to think this through to figure out if this is a good idea or not). Love the comparison chart you put together! Have been using Bluebird for over a year but recently cancelled it in order to sign up for Serve. Planning on using my credit card to load Serve which is much easier than buying gift cards or going to Walmart. Does Target (or do you speculate they might – with this new Red card) allow for loading of Serve in their stores? Including prepaid Visas, like Walmart? If so, does Target have anything like the ATM/self-service machines at Walmart (not that they ever work – in my limited experience!)? 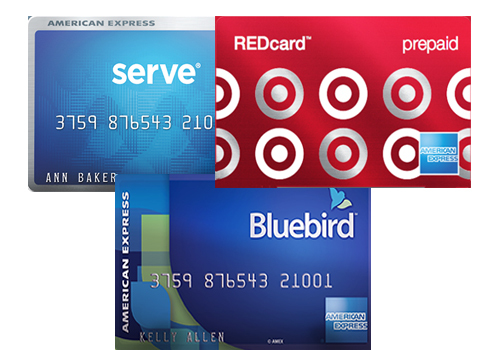 I personally have the RedCard credit card (not this new Amex product). We have it because we shop at Target frequently, and value the 5% off and free Target.com shipping. I have no way of knowing whether Serve reloads will eventually come to Target like they did Walmart, however Serve can currently only be reloaded at CVS, Family Dollar, 7-11 & Walmart. As for the kiosks, Target currently doesn’t have anything like that. Reloads must be done at the register with cash or a debit card. Since you already have the credit card, I don’t think this new card would really benefit you. Agree 100% that this card is not for me. Happy to finally be set up with Serve (softcard). But Target would be a nice option for loading Serve via Visa gift cards, if/when that option becomes available. Sorry to hijack this thread – but quick question on that front (since you mentioned the other stores) … do CVS, FD & 7-11 allow Visa gift card loads for Serve (and I’m assuming those are all with cashiers not kiosks)? Thanks! CVS & 7-11 are hard coded for cash only. Family Dollar supposedly allows it but I have heard the process is cumbersome. Hi, you mentioned Bluebird is able to load “Vanilla Reloads”. Are you sure of that? I remember Vanilla Reloads became CASH ONLY in CVS and consequently in many stores from April 2014, and Bluebird started to stop loading Vanilla. The only two brands I know that can be used to load to Bluebird are Metabank Visa Gift Card and US Bank Visa Gift Card. Thanks. Thank you for clarification. Another confusing point is, I heard from flyertalk and some othe places that gift cards like Vanilla Reloads can be loaded to REDcard account. BTW, would you mind telling me which product among these three you are using? Thanks. Does loading a Target red card with a charge against your credit card count as a purchase towards spending? I just got a IHG credit card & need to spend 3000$ in the next 3 month’s to get the bonus points. Is that the best way? It counts as a normal purchase and would go towards your minimum spend. Just about to switch from Serve to Redbird.. Since this is an AMEX product, if I use my SPG Amex to load the Redbird at Target, will I get points for this? Also, now that Serve can’t do credit card loads anymore, would it be better to switch my wife from Serve to Bluebird, just for the ability to load gift cards? 1. The Serve website says reloading with a credit card may be a cash advance fee. Is this new or has everyone just purchased the pre-paid VISA to load it with as opposed to Arrival or IHG etc…? 2. The redcard says you can load with debit card, i’m assuming that means prepaid VISAs and no Arrival, right? Yes that language has been there for awhile. You can only use a card in your name to load it. The REDcard can only be used by bank issued debit cards (in your name). In store they can be loaded with debit and credit cards. You can pay any bill through their online bill payment so it should work. With that said I haven’t personally paid a student own with them.